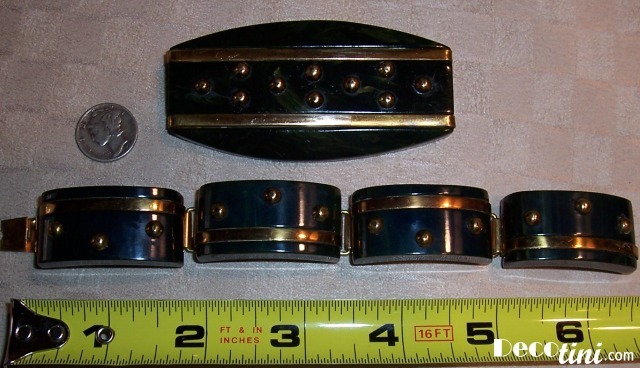 Bangles, clampers, cuffs & watches. 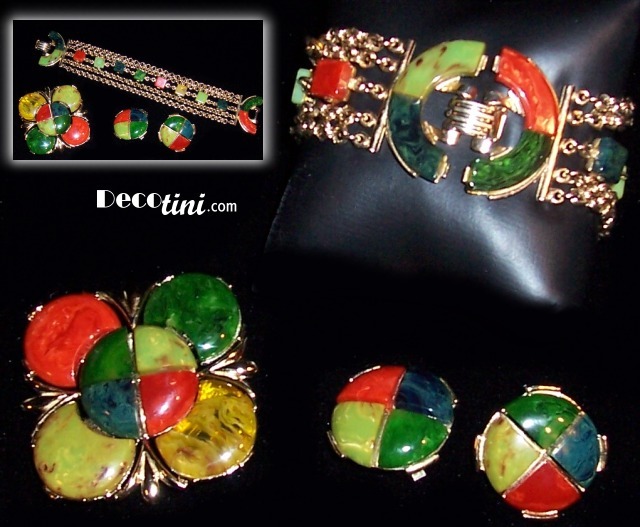 **Please note, most recently added items are at the top of the page. 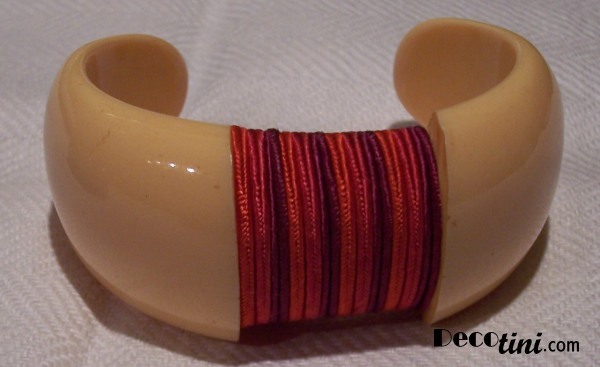 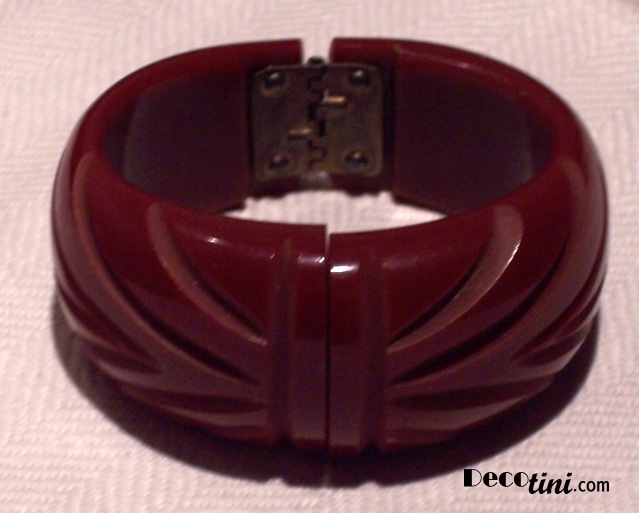 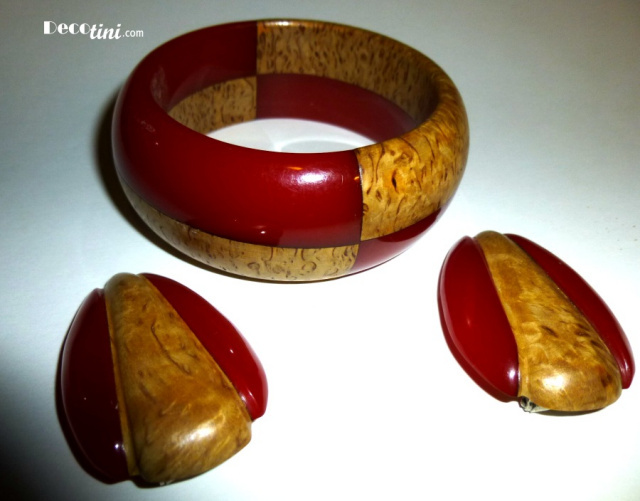 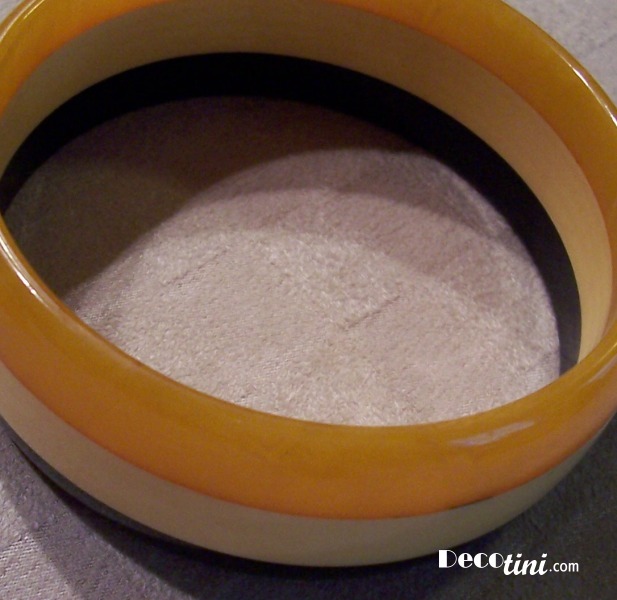 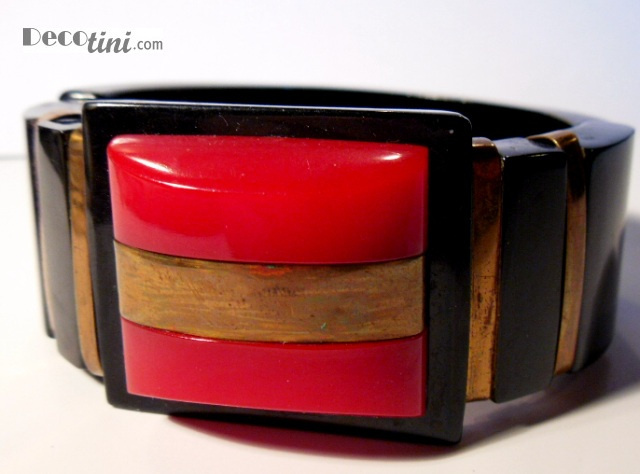 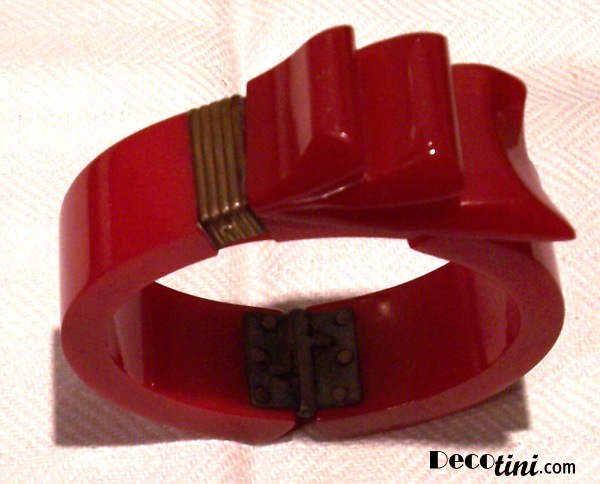 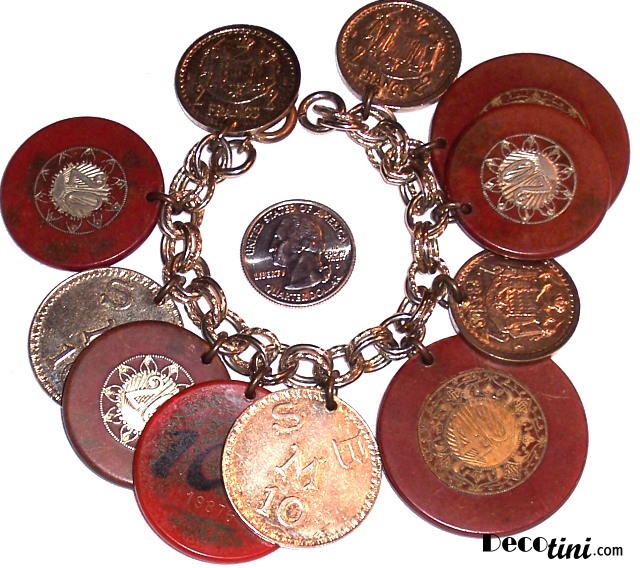 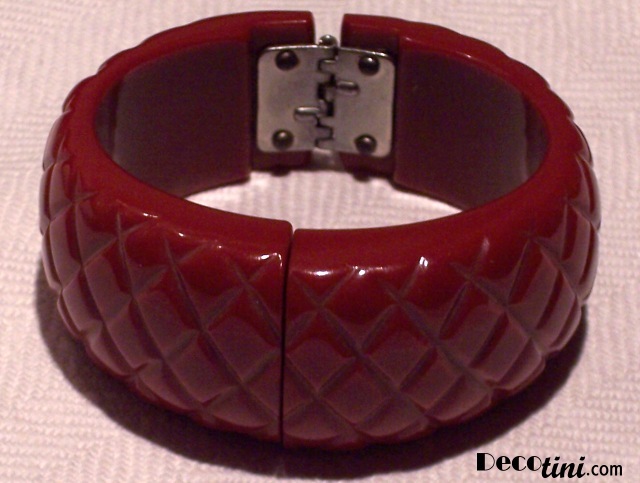 Red Bakelite Laminated Bangle with Clips. 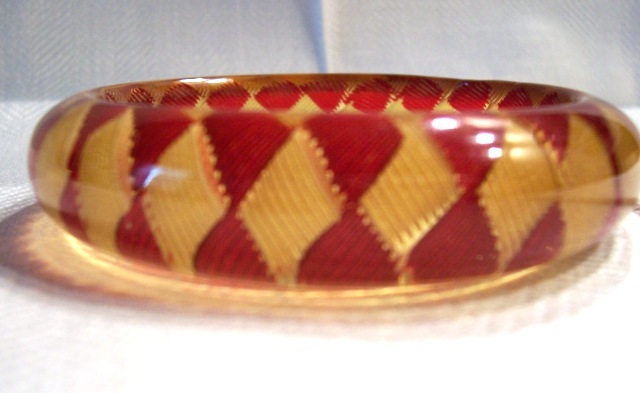 Book Piece. 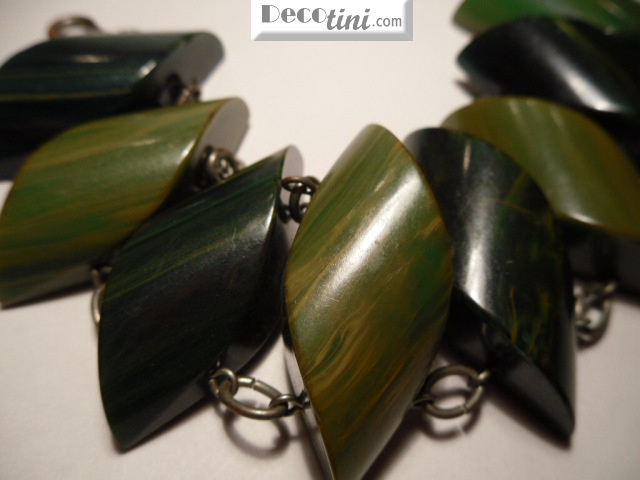 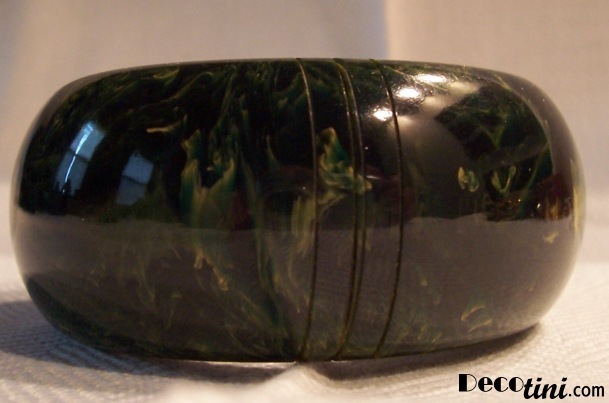 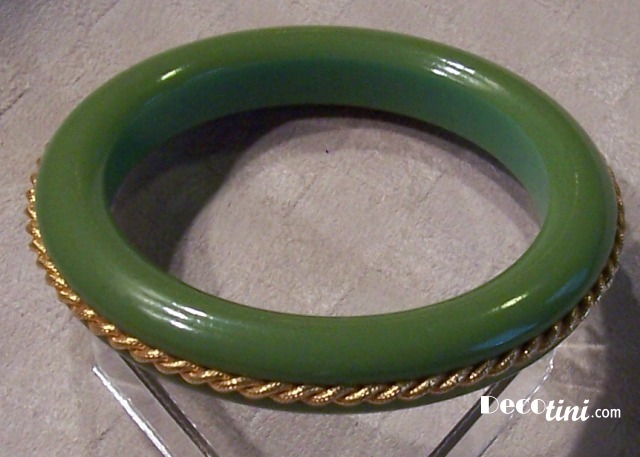 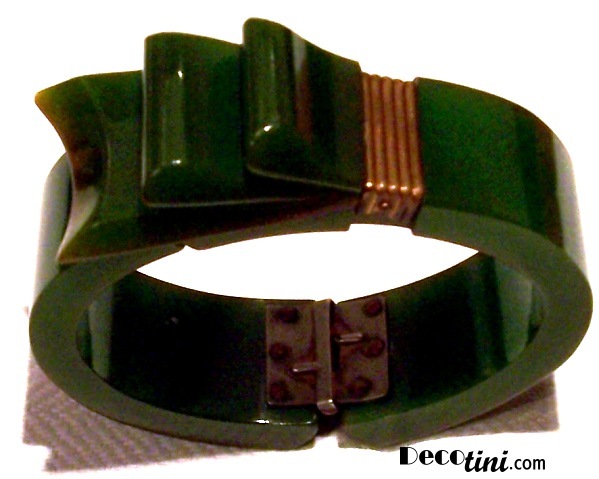 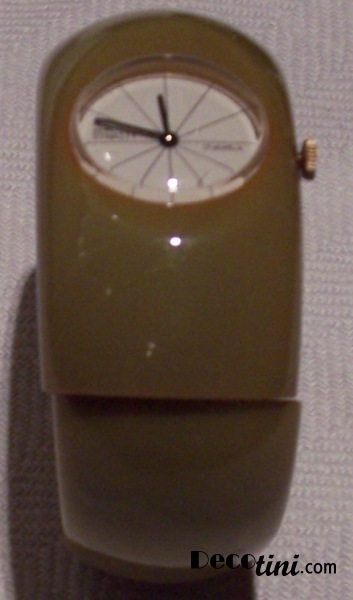 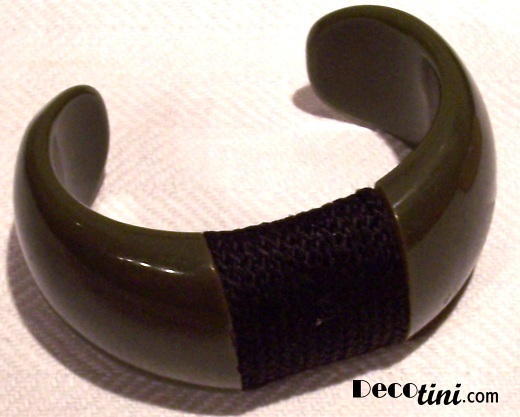 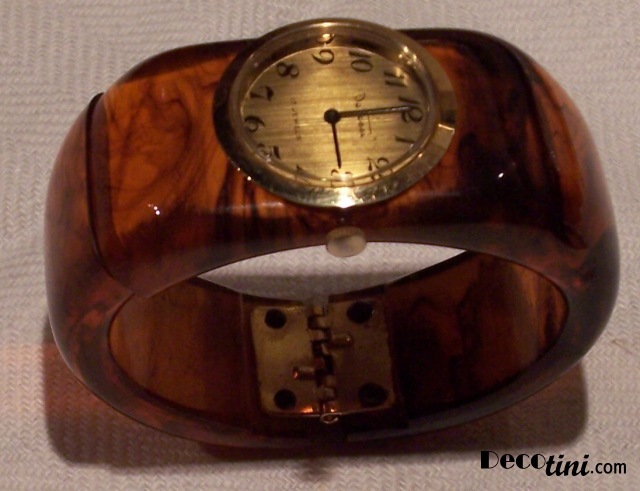 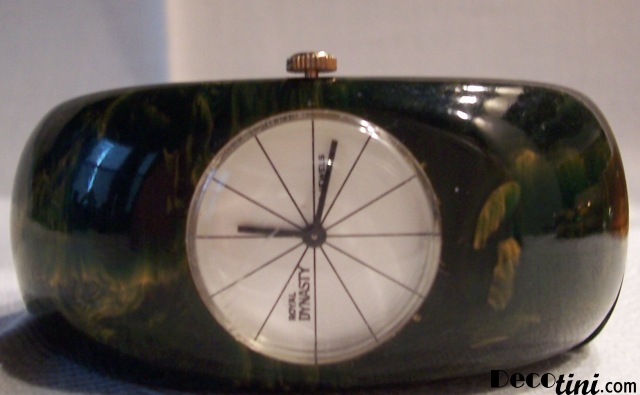 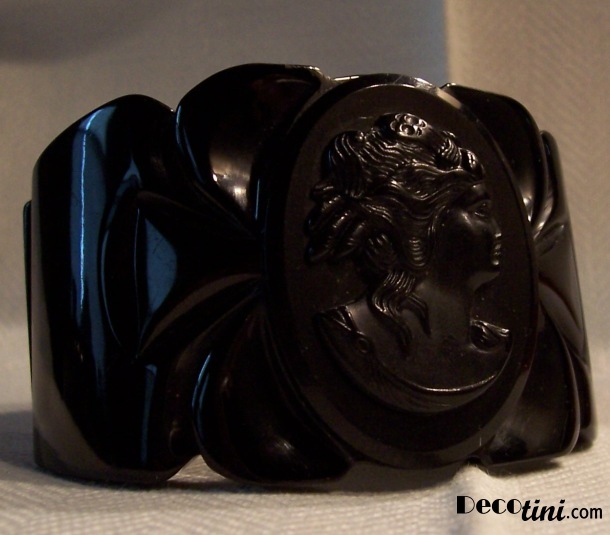 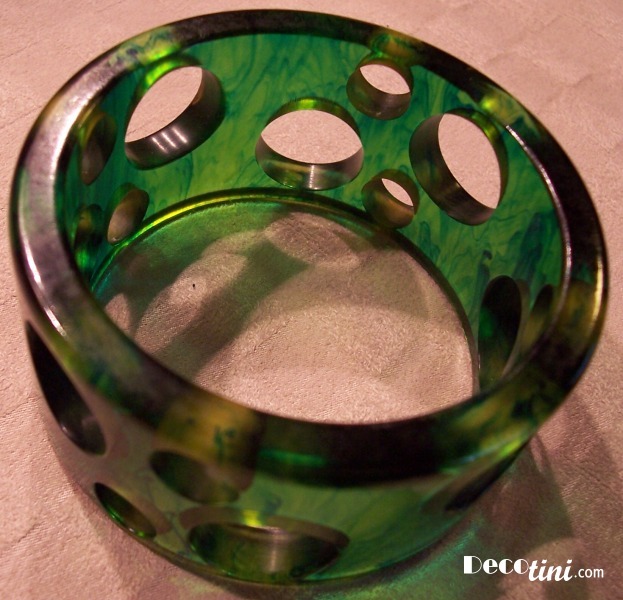 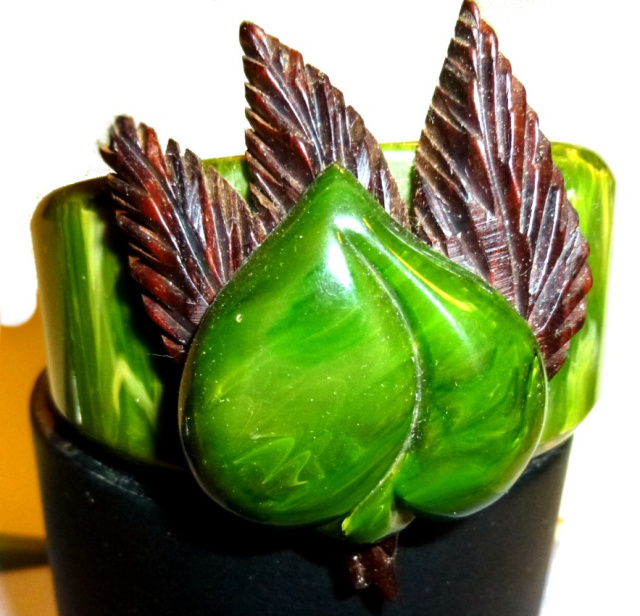 Green Bakelite Clamper Bracelet with Clip. 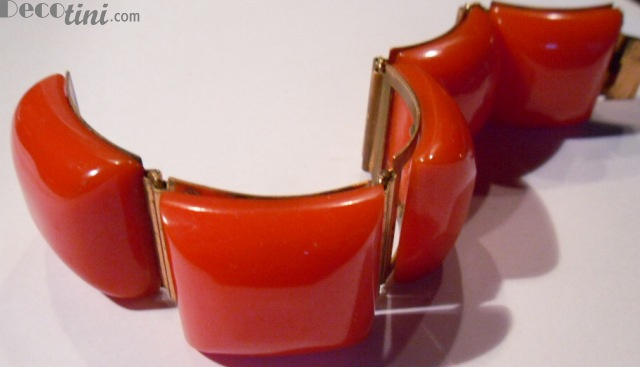 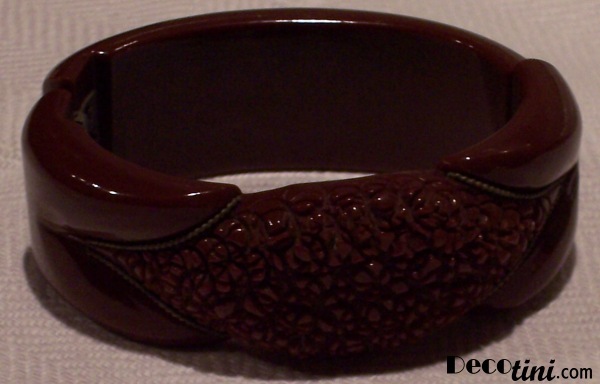 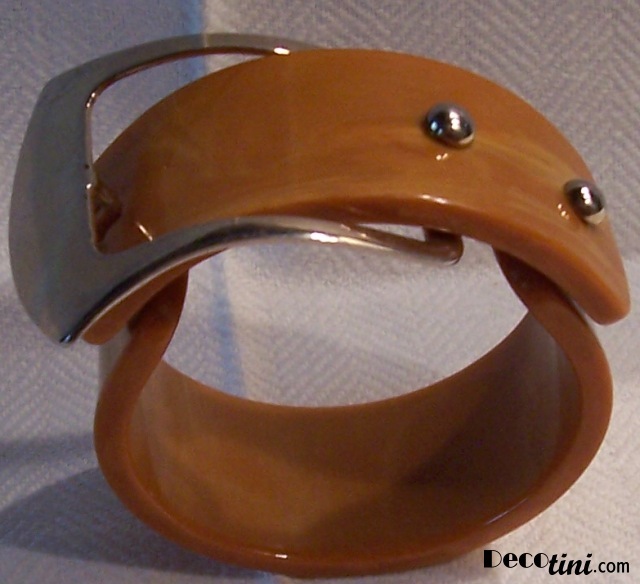 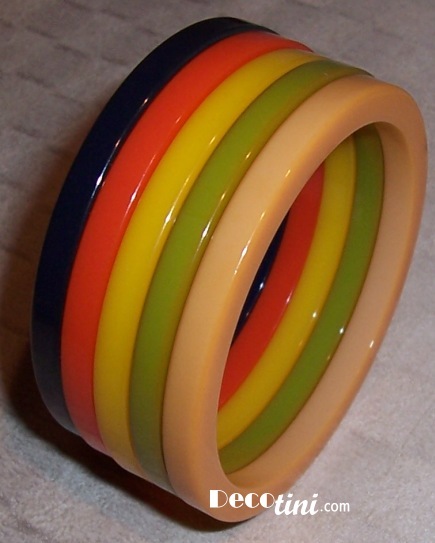 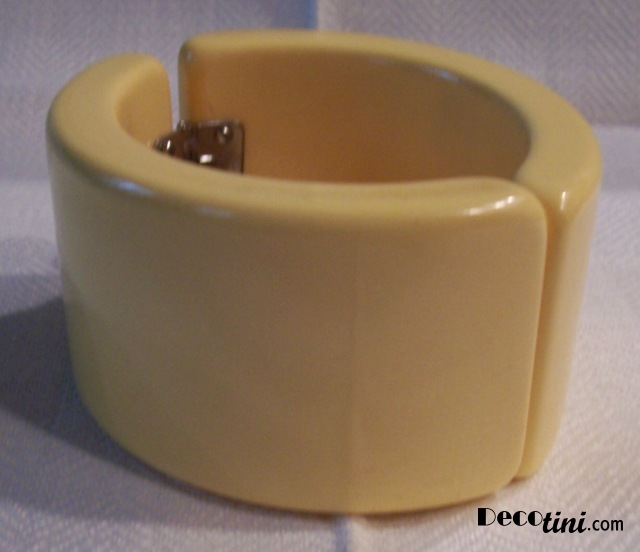 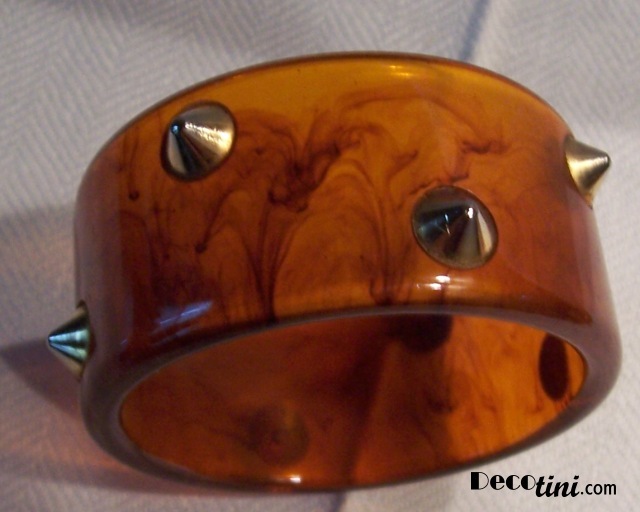 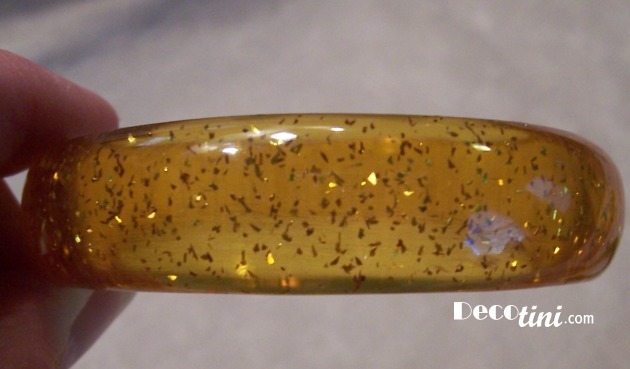 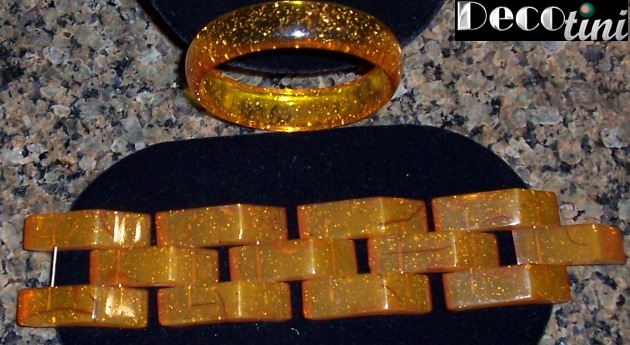 SOLD Orange Chuckles Bakelite Bracelet.